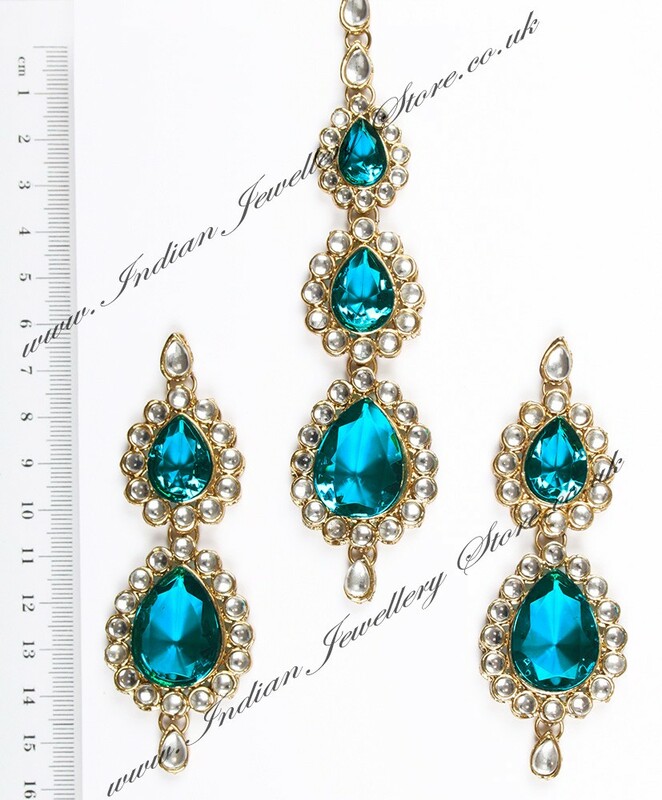 Indian jewellery set in light Antique-M gold and vibrant teal to dark turquoise blue. Set with kundan chip stones. Stunning statement, wide tikka and matching earrings. Other colours available. Indian Jewellery Store LOVES this product. Indian Jewellery Store LOVES this product.